Double mini rail centre post with through holes designed for direct installation into wood furniture and shelving. Designed to accept 6mm Diameter Rod and Bar. Mid post support for two 6mm tubular rods, ideal for display shelving in restaurants, public houses and commercial settings. Double bar railing provides a great safety feature, perfect for galleys on boats, caravans and motorhomes. Note: Requires 14mm hole depth for installation. 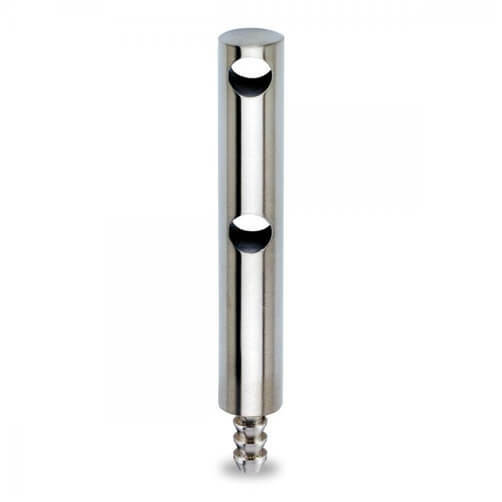 Manufactured from Zintec with a protective stainless steel effect finish. Zintec is a cold rolled mild steel that has been electronically coated thin layer of zinc. Installed post height of 64mm. Optional post adapters for corners and angles available. Always start by marking your post positions, ensuring you have the correct number of posts and lengths of 6mm Ø rails. Drill a 14mm deep reception hole using a 4mm Ø drill bit. 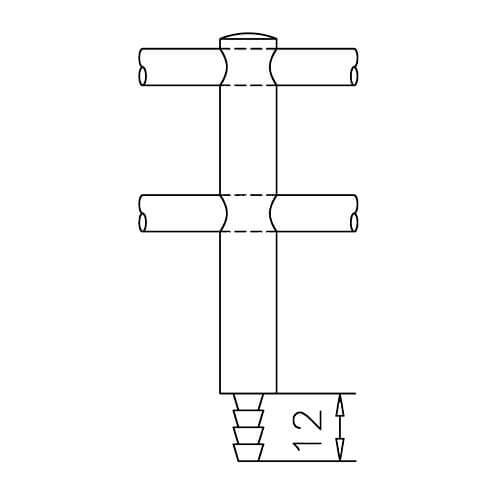 Simply insert your post directly into the hole ensuring it sits flush, if needed you can tap posts gently in to position using a soft rubber hammer, do not use a metal hammer as this will damage your post. Double End Post for 6mm bar railing system. 6mm Ø Rod and Bar in high quality stainless steel. 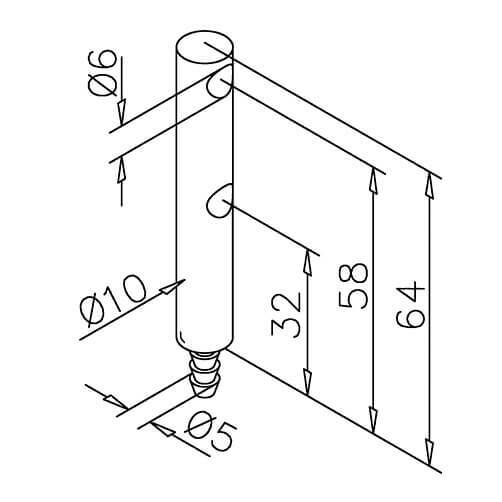 End Post Adapter for 6mm bar railing system. 90 Degree Post Adapter for 6mm bar railing corners.